The best way to talk to search engines is in their native language. That language is called “Schema Markup” and was invented in 2011 through a major search engine collaboration between Google, Yahoo, Bing and Yandex. The goal was to make a global standard search engine vocabulary to help them better understand the web. How do Schema Tags Work? These little bits of microdata are pieces of code that are strategically placed on your website to help search engines understand more about the information your site contains. It is more about what your data actually means than what it says. This microdata creates an enhanced description called a “rich snippet,” which appears visually in the search results. What Do Schema Tags Look Like on the Results Page? Normally, when your website shows up in the search engine results page (SERP) there are several things you can see which include the display title, website URL and the meta description you have assigned. Adding schema tags allows search engines to also display additional information about the business, product, price, reciepe, event or whatever it may be. 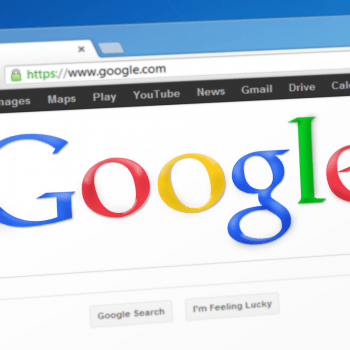 What do Rich Snippets Mean for Your Results? Rich snippets make your website more visually prominent in search engine results, include visuals that attracts the user’s attention, and increased visibility has been correlated with increased click-through rates. The more information a consumer is provided with, the more trust they have in the actual content prior to clicking on it. It also takes up more room in the search results, giving you a stronger presence. Search engines are able to read the information and determine more accurate and relevant results to search queries. Users can easily determine the relevance of search result, allowing them to find the actual information they are looking for rather than just related information. There are a number of online tutorials on how to apply schema tags and other microdata code to your website, but if you are not familiar with some of the coding basics, you should play it safe and look to the experts. The team at Tree Ring Digital can help you determine what information you want to convey to search engines and get your schema tags in place for an ideal user experience.